"Here me ghost of the past, rise and protect your master!" Shouted the young girl as the monstera closed in on her. If you had asked her later why she said it she wouldn&apos;t have been able to tell you it was just instinct. She completely expected for nothing to happen and to die right then and there, however as she said the last word the ground started to shake and cracks grew as a pit opened up. Out of the pit slowly clambered out a man. 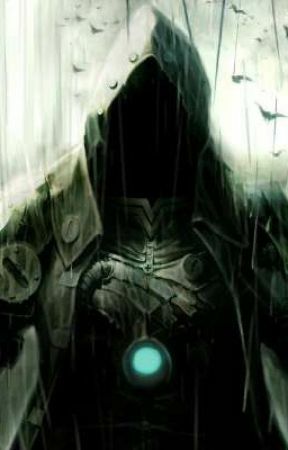 This man stood about six foot tall and wore a white assassin&apos;s outfit with a hood covering their face. As they spoke it was quiet but also raspy as if they had been screaming at a wall for years. "Well look what we have here, an army of monsters all after one little girl." Up until this moment she like the monsters had been frozen in surprise however, at this the gir bristled in anger and marched over to the stranger saying "I&apos;ll have you know I turn 15 in two weeks!" At this the monster slowly started creeping towards them, the girl didn&apos;t notice but the Stranger certainly did. He moved so quickly he left an after image where he had been standing. Before the girl could blink the creatures were all piles of dust. "Well that was easy." The stranger said while looking at the dust. Then, the girl noticed a huge 10 foot tall half man half, bull beast charged at the Mysterious Stranger who jumped up and over without looking back and with this the Minotaur charged into the pit the stranger had come out of. "So... What&apos;s your name?" asked the stranger "t-t-Teri White s-sir" said the girl shakily suprised and scared that someone could move that fast. "Teri huh, weird name" replied the stranger as he turned and slowly started walking away. "I-it is not, it&apos;s a beautiful name, not like your name is any better." "What&apos;s my name then?" questioned the Mysterious Stranger. "Mysterious Stranger, it says on the back of your cloak." "What really!?" At this the Mysterious Stranger started turning in circles trying to catch a glimpse of the back of his cloak. Struggling not to laugh "If that&apos;s not your name then what is it?" asked Teri. " At one point my name was Percy Jackson but now it&apos;s Apóchrosi but my friends call me Apoch or they would if I had any friends."